In February 2012 Dominic and I planned our first ever mama dad getaway. I was pregnant with Max and we knew if we didn’t get away then, we’d miss our chance. 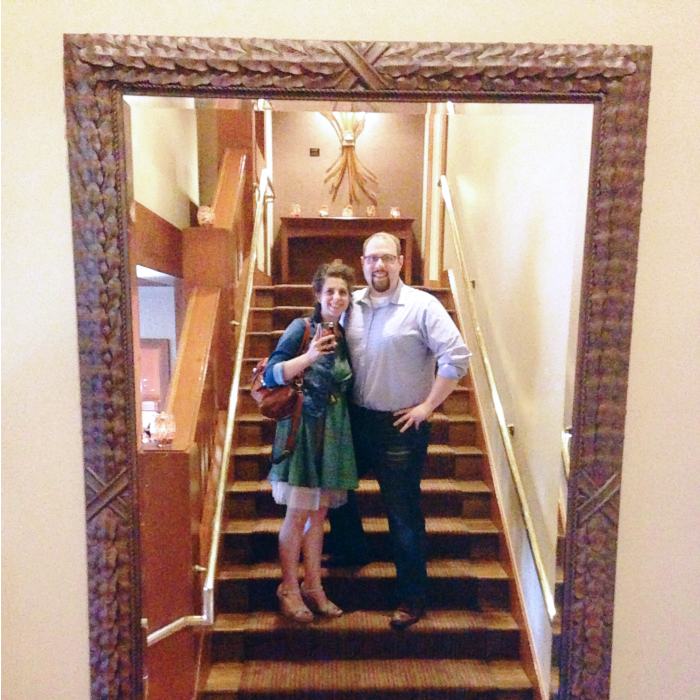 My sweet sister offered to hang with Jemma and so, off we went a historic Portland hotel (we were living in Vancouver, WA at the time so it wasn’t far, just perfect for our first no kid overnighter). Sadly our getaway was cut short when I checked in with my sis only find out she had the flu … AND BAD! We rushed home to relieve her of Jemma so she could focus on recovering. It was a sad time for all. 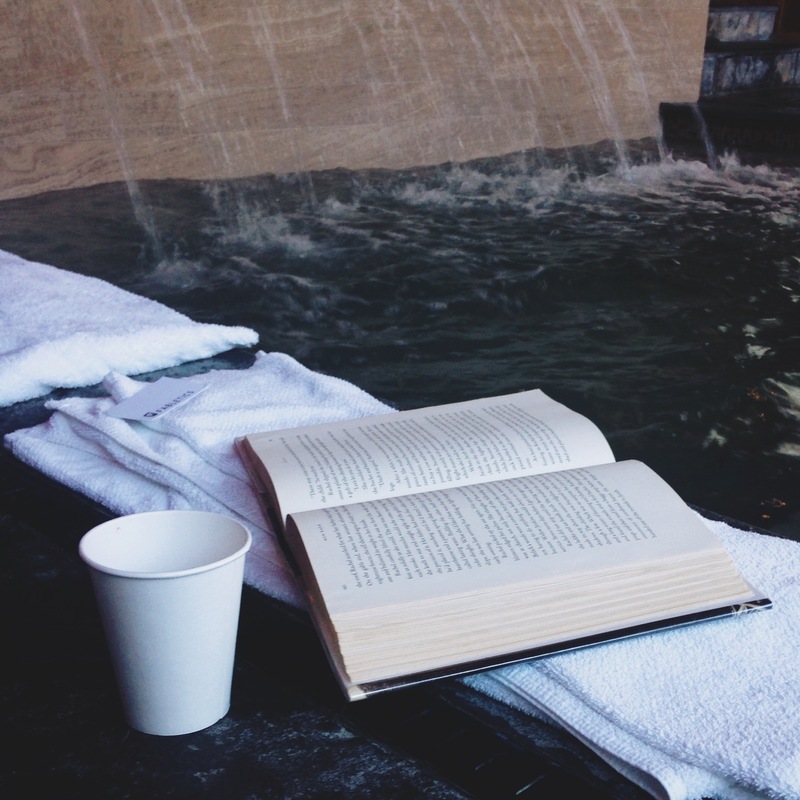 But, that all changed this month when we planned a parent’s retreat over my birthday weekend to the amazing Salish Lodge + Spa! As a recovering perfectionist, I don’t say a lot of things are perfect. But Salish is. Located just outside of Seattle in Snoqualmie, Washington, Salish Lodge + Spa was the ideal distance for us – far, but not too far. You know, in case another virus tried to crash our plans. 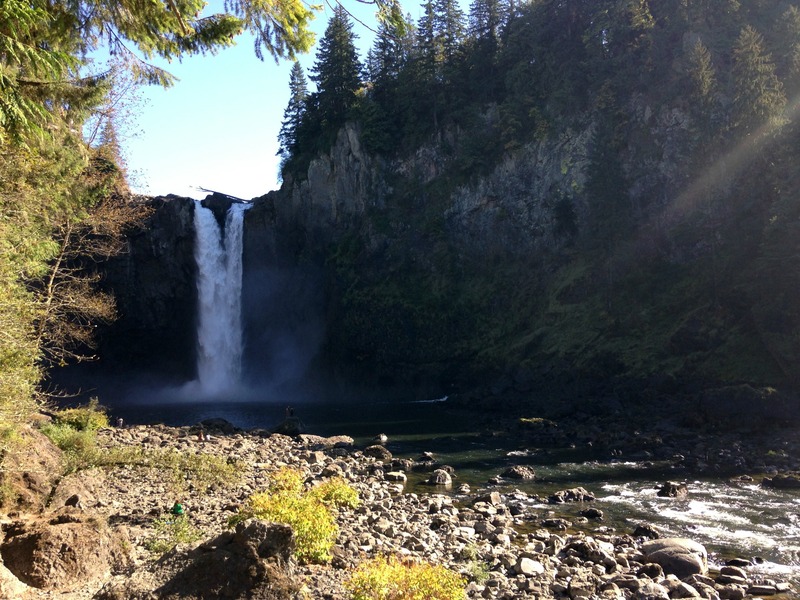 It’s also quite picturesque; the ultimate Northwest beauty with the falls and the forest encompassing the historic lodge. Just looking at it gives me that relaxin’ feeling all over again. And, if I close my eyes real tight, the rushing of the dishwasher almost emulates the sound of the crashing falls … almost. Upon arrival we settled into our room which was made complete with a two person jetted bath (and you all know how I adore baths!) and a fireplace just waiting to be lit and stoked. 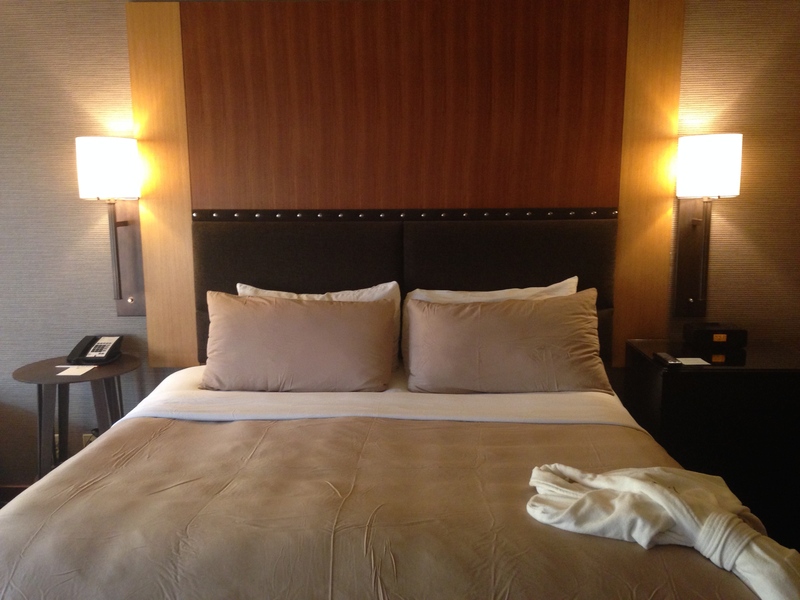 The featherbed was beyond comfortable and I could hardly grasp that on the eve of my 28th birthday, after 26 months, I would be sleeping through the night for the first time. Oh, Max, your mama loves you so, but sleep is really, really awesome! 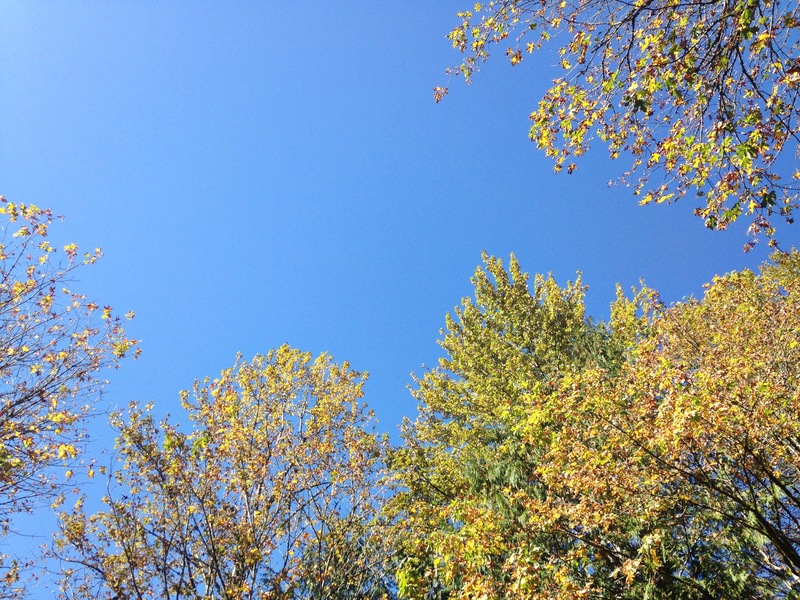 It seems that every October 5th in the Northwest brings beautiful weather – warm sun, crisp air and no rain – our weekend at Salish didn’t disappoint. Before dinner we followed the paved paths around the lodge and took many a deep breath as we fell into the relaxed pace of our weekend away. The Attic welcomed us for dinner as the sunset over Snoqualmie Falls. 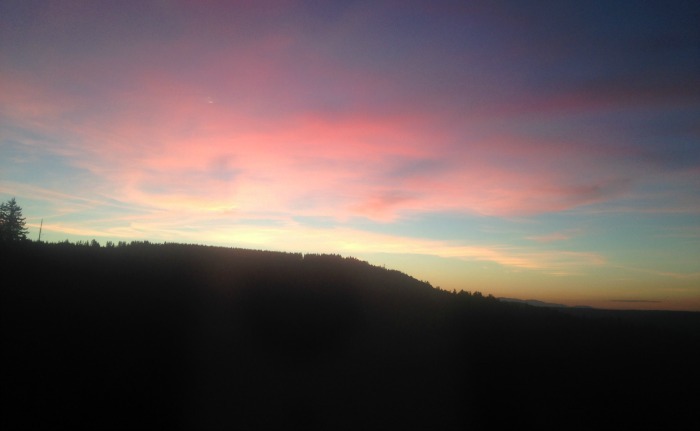 We watched and visited and ate to our heart’s content as the sky turned all sorts of orange and purple and pink. I’m usually pretty decisive when it comes to menus, but The Attic’s spread left me wandering! 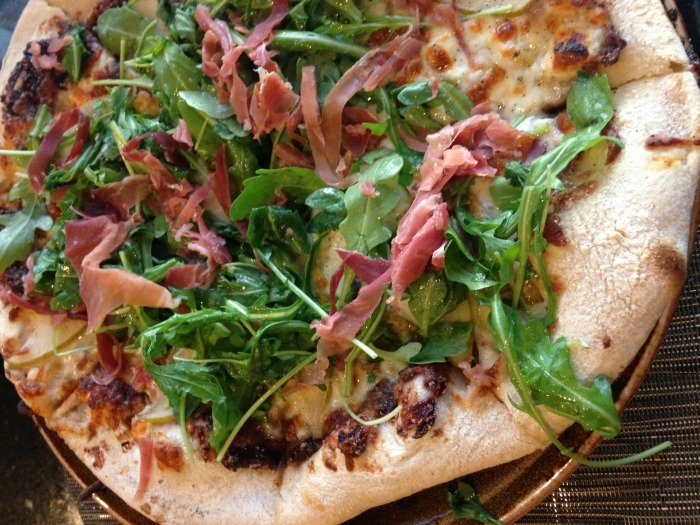 I finally decided on the Washington Pear & Prosciutto Pizza from Salish’s wood-fired oven while Dominic opted for the House-Smoked Pork Ribs. We shared a Rustic Baguette and sipped on fancy cocktails which all featured honey from Salish’s hives. No birthday is complete without dessert – one of life’s golden rules, right? 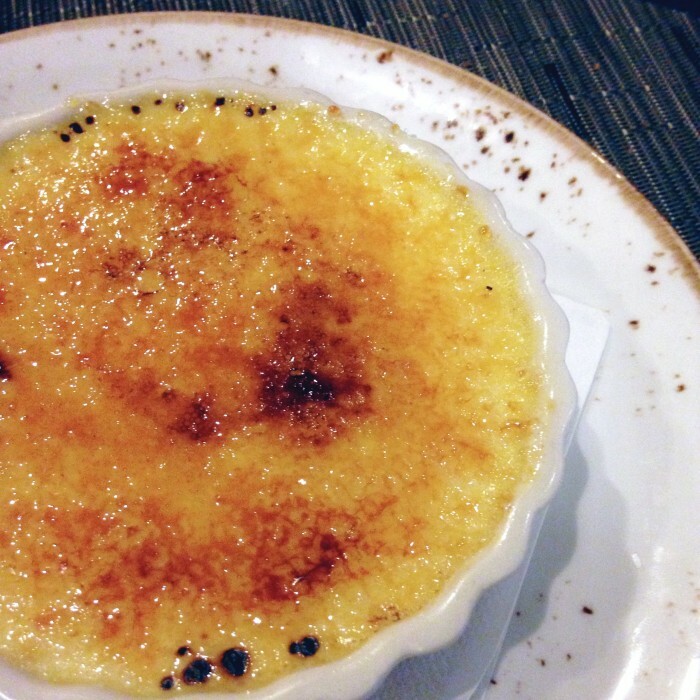 – so we ended our meal with Creme Brûlée thanks to Dominic’s coaxing. I thought I didn’t like Creme Brûlée, but have since learned otherwise. Maybe it was the slow paced meal sans children that allowed me to enjoy it or perhaps the Salish honey and vanilla beans … either way, I’m officially a Creme Brûlée lover now! 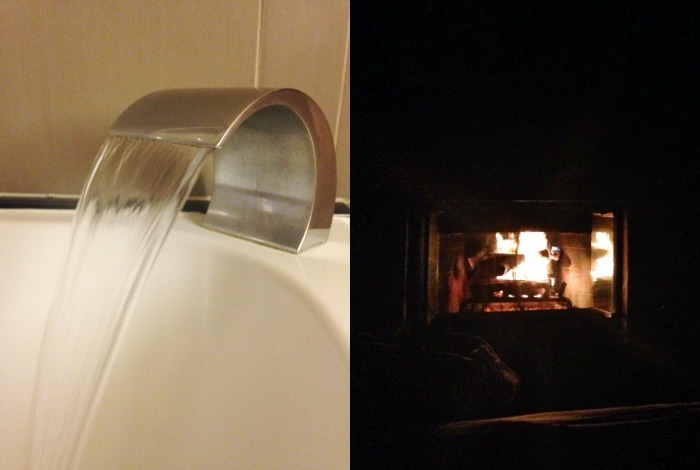 A luxurious bath with a crackling fire ended our evening as I did a little writing. My mama texted me with news that both littles were sound asleep, and with that, I cozied into my Salish bed from heaven and slept so incredibly well! Dominic and I didn’t wake until a bit after 8am – which is near miracle status in these days of parenting. Downstairs we grabbed complimentary coffee before a tour of the grounds. Of course, Salish honey was part of the sweetening spread and trust me, nothing tastes better than a coffee with local honey and cream. Brunch was a delight – isn’t it always? – with the heartiest Farm Fresh Omlette and Dominic’s forever favorite Traditional Eggs Benedict. I was even able to request the “honey from heaven” service which dates back to when Salish (then known as The Snoqualmie Falls Lodge) was a popular rest stop for travelers. 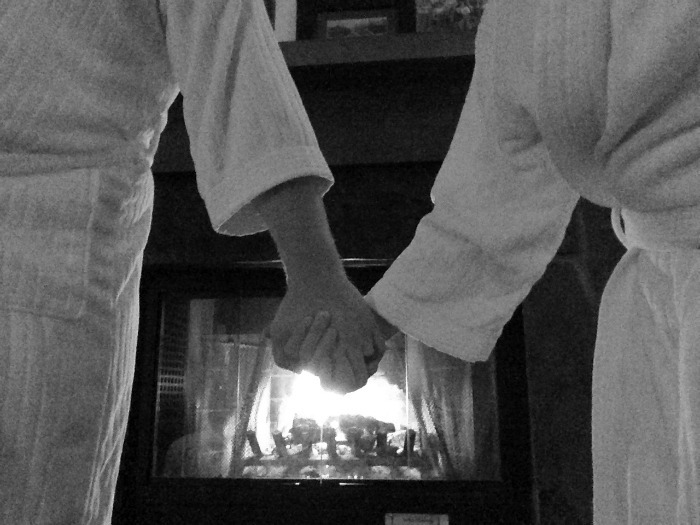 Post brunch we enjoyed a couples fireplace massage at The Spa at Salish Lodge. This spa is the read deal and our spa treatments were the ultimate treat for our mama dad getaway! Parenting is a real hard gig and our time at Salish proved to be just what we needed to relax and rejuvenate the original two of our little family. During our dinner in The Attic, I told Dominic it was one of my birthday wishes to stay until Happy Hour on Monday so I could order something else off the yummy menu. 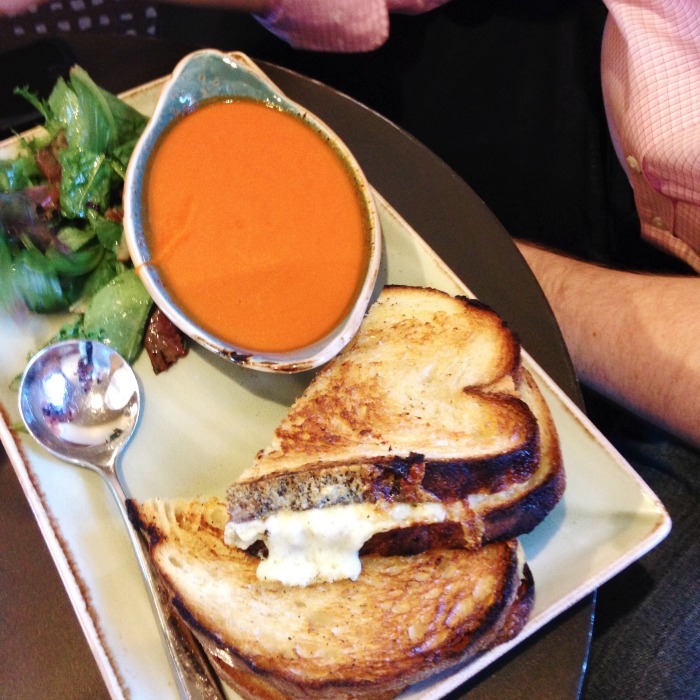 I had my eye on a featured collaboration between Salish’s executive chef and The Pike Brewing Company – Beecher’s Cheddar and Salish Honey Ale Spread on toasted sourdough with a Pike Hive Five Hopped Honey Ale and tomato soup and it did not disappoint! Grilled cheese and soup is classic autumn in my book. Happy Hour is totally our jam so we snacked on the House Potato Chips and Caesar Salad too. Loved it all! Like, loved loved. Oh Salish, you are on a pedestal of all Northwest experiences. Forever marked in my mind as a wonderful birthday trip and redemptive mama dad getaway. We’ll be back! 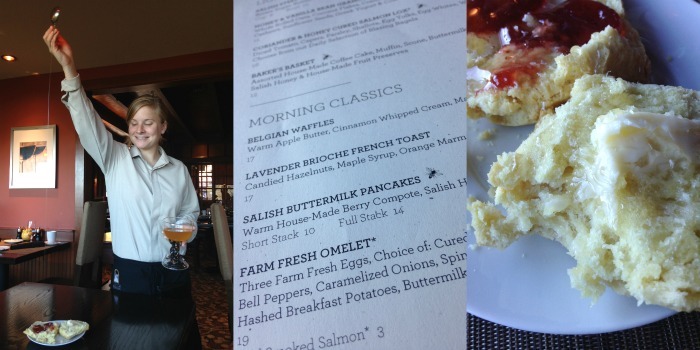 Much of Salish’s menu is both local and sustainable – high five! 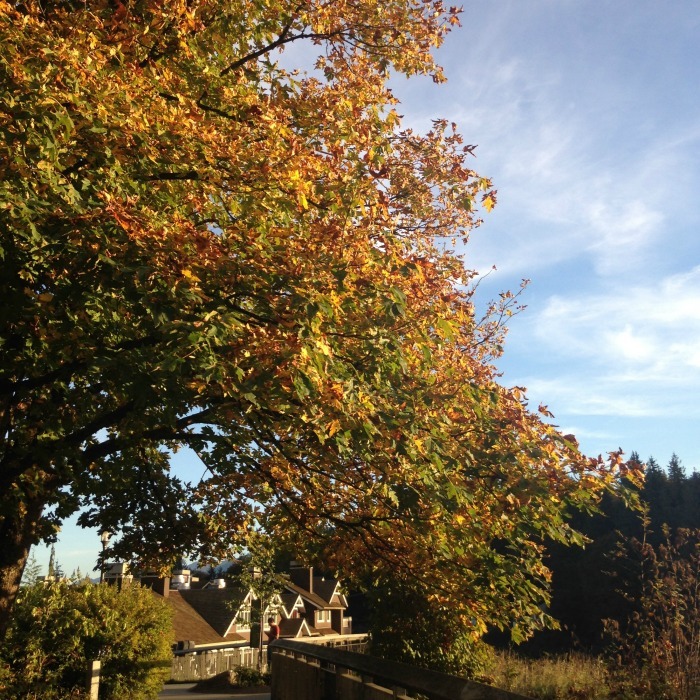 Valet services are all included – what a treat! And when you check-in don’t miss the chocolate chip cookies in the library. I may have had 2 they were so delicious! Salish has creative and fun specials on constant rotation – don’t miss out! On our tour we got to see honey being harvested from the apiary, well, from a distance – so cool! 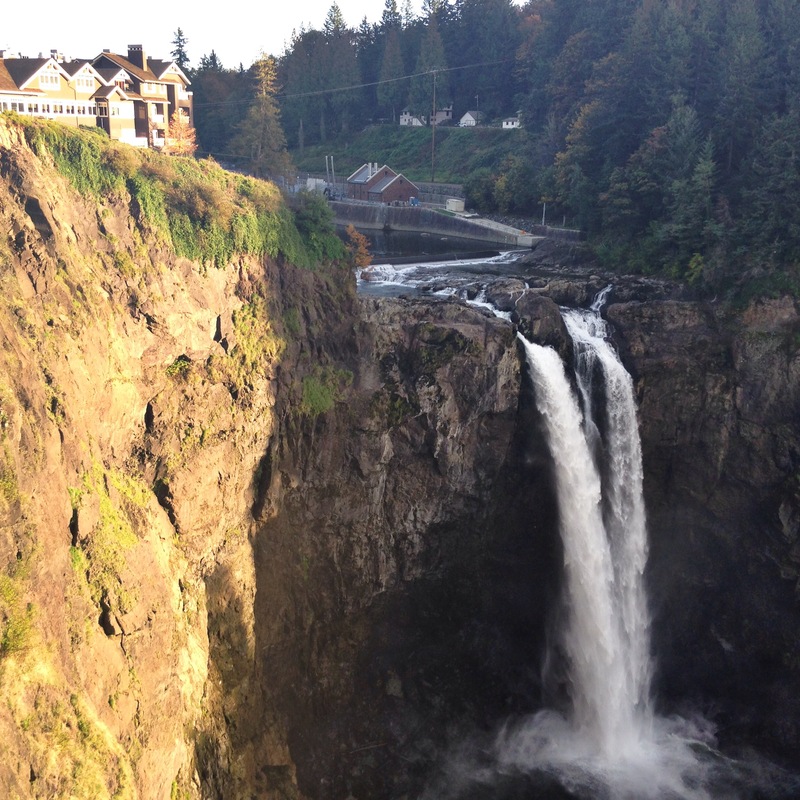 Salish offers yoga overlooking the falls, totally on my must-do list next time! Max, in fact, survived a night away from me, and so successfully that my mom has offered to watch him again! And for you curious minds, yes, I pumped while I was away. Perhaps I’ll work on a post about surviving (and enjoying) an overnight trip as a breastfeeding mom. Last, but not least, soon I’ll be sharing a wonderful recipe featuring Salish honey that we brought home from the lodge’s gift shop! 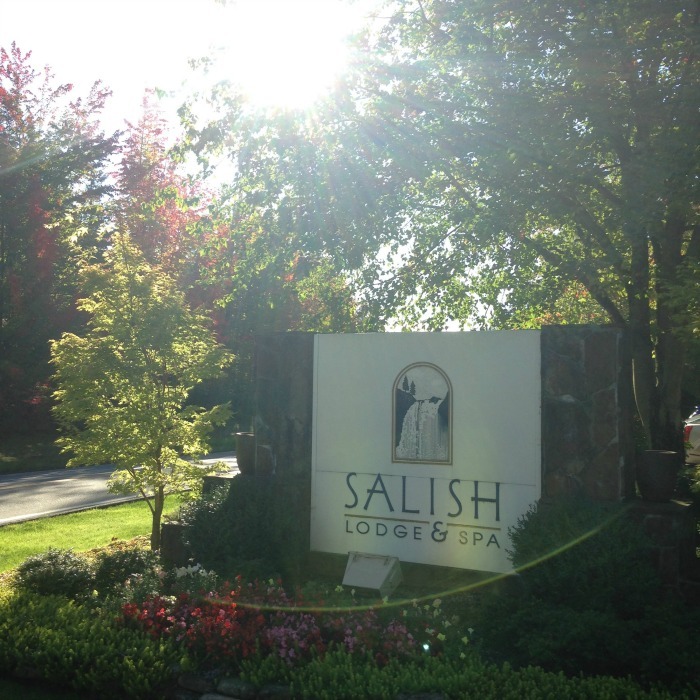 Our stay, spa service and dinner at Salish Lodge + Spa were provided complimentary in exchange for my review. All opinions are my own and I 100% endorse everything we experienced! I would love to hear more about overnight trips while bf’ing. Our wedding is next August and my little boy will be 14 months. I’m already stressing out about it. I’m such a breakfast lover – eggs for days, jam forever, just plant me an orange tree! WOW! That looks like soooo much fun! Amazing photos. Can you take me with you next time? Totally! Girl’s escape to Salish!!! This looks so fun and amazing! !